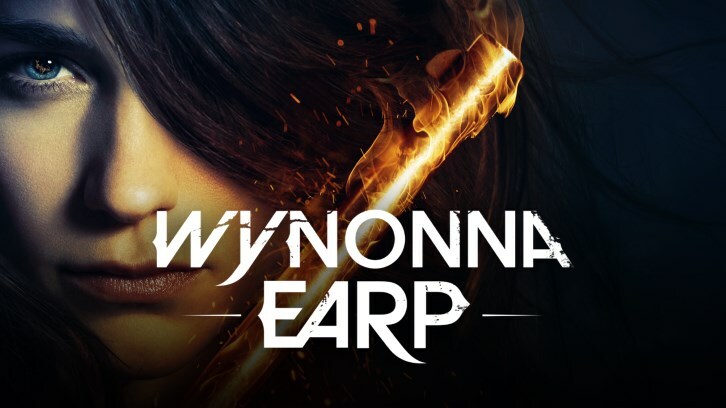 Wynonna Earp returned for its third season with a solid, albeit not entirely spectacular, episode. The oft compared Buffy-like show finally introduced vampires into the fold in 'Blood Red and Going Down' and as someone who follows vampires in many shows, I would say they were an OK iteration of the popular creature. 'Blood Red' really emphasized, and almost, exaggerated the seductive side of the vampire, including pink mist that follows them and the ability to touch and charm almost anyone. I loved Wynonna's, "please be a secret Rhianna concert, please be a secret Rhianna concert" quip as she walked through the barn. Just classic. Wynonna had quite a few lines this episode that was just on point. The episode served its purpose of bringing the team together and recapping viewers on the current relationships between characters. Wayhaught are still way hot, and after the events of last season, Earp and Doc have a close, yet strained relationship. Poor Dolls is the third man out, and I have a feeling "escaping" the vampire, off-screen that is, is only half of the story. The two must have made a deal. I was expecting that twist to play out at the end of the episode, but instead, we get the reveal that Haught remembers the last attack by the vampires, which happened a century ago? Things are getting interesting. On a side note, I just had to write that I found it quite idiotic that Wynonna and crew would let the head vampire live, tell him to go back to his master, but then not tail him to find out where Bulshar is, and then possibly attack him and end his terror before it begins! Are they that dumb!? Such plot holes are common in Wynonna Earp, but this just takes their erroneous writing to a whole other level. Aside from the leader, another vampire escapes who is apparently another love interest of Doc? Does Doc really need another gal pal? Hopefully, this show does not become too soapy this season. All that aside, the premiere was solid, but nothing spectacular - recapping where the characters are now, while setting up the rest of the season.